When they sang “Video Killed the Radio Star.” Why? 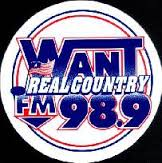 This week, I appeared on WANT 98.9, the station that plays Real Country. Before anyone gets worried, I did not sing. Instead, I was a guest on Coleman & Company, a talk show where local people are interviewed. This time, it should have been called Larry & Company because my good friend was hosting while Coleman is on vacation. You have read about Larry before. We talked about all kinds of things, but history dominated the time. We discussed Quanah Parker, a famous Comanche, and his mother, who was taken captive by the Comanche. We talked about the pioneers who traveled over the Oregon Trail. We also talked about George Allen, a Cumberland University student who later went on to become a close confidante to Franklin Roosevelt, Dwight Eisenhower and Harry Truman. It was an enjoyable experience, and everyone said that I did a good job. After the interview, I started thinking about the first time I was in that studio. When I was a kid, the radio station held a spelling bee, which was divided by grade level. Each school sent the winners of its grades to compete against the winners at other schools. There was this one kid that I could never beat. Her name was Melissa, and she was not my favorite person. Every year, I finished second to her first. Finally, we made it to 5th grade, and I won. It was one of those pivotal moments in life that affects everything that will come later. After beating her, I could conquer the world. That’s when the 5th grade teacher changed the rules and said it would be best 2-out-of-3. It was devastating. Think about a team winning the Super Bowl and being told they have to win it again. With my spelling senses reeling, she crushed me in the next two matches. I was not happy. My mom was not happy at a completely different level. She confronted the teacher and asked about the change. The teacher’s answer was simple. She thought Melissa would have a better chance of winning on the radio and set it up so she could make it. That was not the answer my mom wanted to hear. Fast forward a couple of years. I am in 7th grade at a local private school. It is the last grade that takes part in the spelling bee. I breeze through the contest and qualify for the spelling bee on the radio. On a Saturday morning, we pull up to the station and go to the studio, the same studio I was in this week. Kids from the other schools were going to their seats, but I only had my eye on one. One by one, kids made their way to the microphone to spell a word. Some got through and some didn’t. I only paid attention when she was up there. When she got one right, I knew that I had to get one right. I didn’t care about winning the whole thing. I just wanted to outlast Melissa. The contest continued until the unthinkable happened. She missed a word. I knew that I had to get the next one right to truly beat her. I got to the microphone. The moderator, which may have been Coleman, gave out the word. I took my time and nailed it. With great satisfaction, I went back to my seat and she slithered out of the room. I didn’t win the contest, and I don’t remember who did. All I remember is who stayed in the longest, and it wasn’t Melissa. I hope my old 5th grade teacher was listening. Somewhere she is trying to alter Webster’s to correct her mistake. Then, she can retroactively win. Nice to get a little of your own back. It so rarely happens. It was a great feeling.